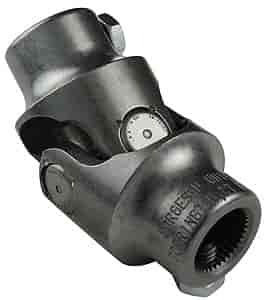 013434 - Borgeson Steering Universal Joints is rated 5.0 out of 5 by 2. Rated 5 out of 5 by Koolkatt from 1963 Ford Falcon P/S install I have a '63 Falcon Ranchero that I converted the front suspension to a '03 Mustang type style suspension: ie Coil over struts w/Mustang spindles and a Pinto rack and pinion. I have way too much positive caster for manual steering so now I am converting to P/S.